June the 1st was the date clubs were let off the leash to get players in for the coming season and there hasn’t half been some big money moves already. Today we will look at some of the best value and perhaps strange signings of the football transfer window so far. September 2nd is quite some time away but the money has been flying around already in Britain & Europe so lets have a look at some of the selected transfers so far in June. This for me could be one of the best signings in the EPL this season. Remember the last time Fulham paid an Italian club £4 million for the Dutch number keeper? That was Edwin van der Sar and that was a great signing also. 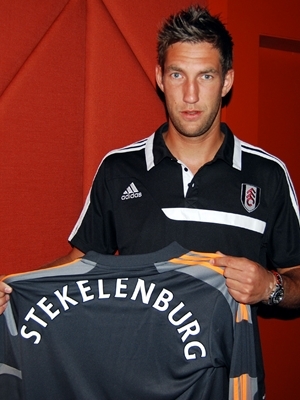 At only 30 years old Stekelenburg easily has another 7/8 years at this level and Fulham have pulled off a masterstroke here. He spent 11 seasons at Ajax then 2 very solid seasons in Serie A with Roma and to date has won 54 caps for Holland including a World Cup Final so to get him for such a low fee is brilliant business by Martin Jol and Fulham. I still rate this guy in my top ten goalkeepers in the world and with Fulham losing veteran Mark Schwarzer as he was out of contract they haven’t half signed an outstanding replacement who for me will eclipse what he done at the club which was a lot. I watched Shaktar a few times in last seasons Champions League and each time I did I commented on how much of a talent this lad was in those particular matches. Pure natural ability on the football and an absolute star player. At 28, £30 million is a lot of money to pay but the way he plays the game Man City will get more than their money’s worth over the next four years as Fernandinho will deliver goals and assists by the barrel load. For me he is a better player than Samir Nasri and James Milner so we could see one of those players depart. He has been linked with big moves for a long time during his 8 years in Ukraine with Shaktar but the time is now and City have themselves a player here who has produced on the Champions League stage on several occassions. 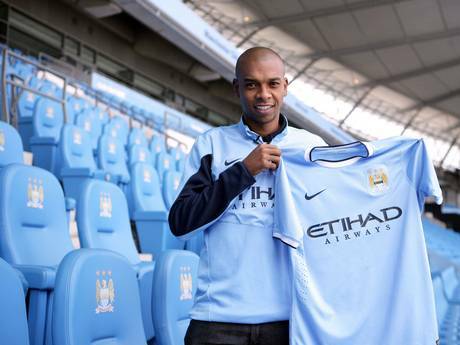 Just the 5 caps for Brazil the last one coming last year Fernandinho will be hoping this high profile move to England will help his cause of playing in the national team. I reckon he will thrive in the EPL and in Europe as well. 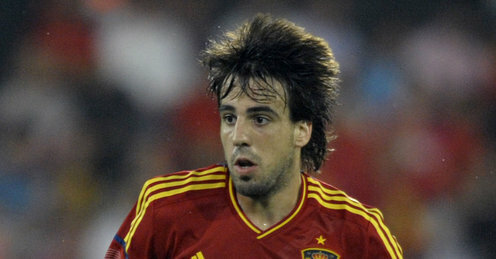 To get a decorated Spain international and La Liga star for only £14.9 million is superb business by big spending City. 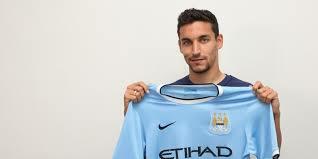 Navas is very quick and skilfull so goals and assists will be a regular trait of his especially the latter. The player spent 10 seasons at Sevilla and time and time again was a nightmare for left backs in the league. So far he has earned 26 caps for Spain in one of the most difficult international teams to get into. With 2 UEFA Cups, a World Cup and European Championship in his honours list, Navas will be hoping to get his hands on some English silverware along with helping City perform much better on the European stage. This will be an excellent transfer and City could have Fernandinho, David Silva & Jesus Navas playing behind a striker next season which is absolutely frightening. Quality signing again from City here. I was very surprised to see this signing, not that Lovren got a move to the EPL but that it was Southampton that got him and there is no disrespect intended there as Saints are a very ambitious club but I’d have thought the player would have got a move to a top 6 club he is that good in my opinion. At only 23 he has 17 caps for the always talented Croatian national team and spent 3 and a half very successful years in France with Lyon. The fee was reported to be around £8.5 million but if the player performs and develops as he has done so far Southampton could easily double that investment in the next 2/3 seasons no problem. Very good signing and this man will be an instant hit in England. This is a bittersweet transfer for me, as a huge fan of the Bundesliga and a very soft spot for Leverkusen, one of the finest young talents in the league has departed. It was only a matter of time and the player has been linked away for the past few seasons but I just hope he has made the right decision here. Chelsea are a fantastic club no doubt about it but the number of quality forward players their system has ruined in the past 7/8 seasons worries me about this transfer. 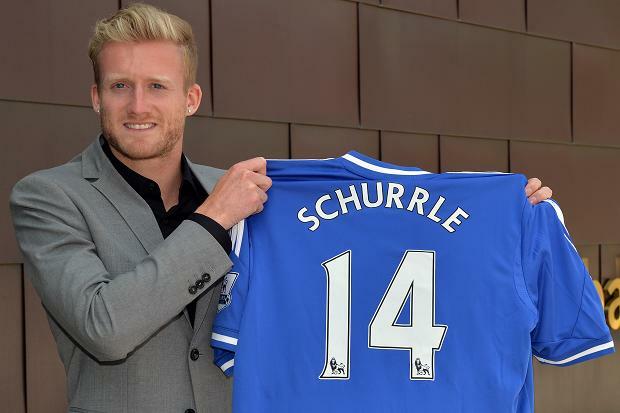 Schurrle can play through the middle but is a much better player on the left wing in and inside forward role. That role in the Chelsea team is currently occupied by Eden Hazard another marvellous and gifted player. On the other side you have Juan Mata along with other players such as Ramires, Oscar and Kevin de Bruyne. Marko Marin is another example, he was at a similar level to Schurrle when he left for Chelsea and he was treated pretty badly by the club. Schurrle NOW though is a much better player than what Marin was then so hopefully he will do nothing but shine as he has done in his 151 Bundesliga appearances returning 43 goals in the process along with earning 24 Germany caps scoring 7 goals. At 23 the world is at his feet and I hope The Special One gives him the regular football his talent deserves as £18 million is an absolute bargain for this quality player. 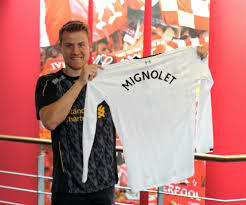 Another fantastic signing in England, with Pepe Reina’s decline in form over the past two seasons Liverpool have made an excellent signing in Simon Mignolet who produced some miracle performances for Sunderland over the past few seasons. At only 25 the Belgian international could be number one for club and country for a very long time. Sunderland have made a £7 million profit on a keeper that performed so well for them in his 101 appearances for the club and Liverpool for me have an absolute bargain for £9 million. I have no doubt he will take his form to another level and also add to his 13 Belgium caps in the process. Great signing for Liverpool and one that will be very successful in my view. This was the first big transfer of the summer splashing out just under £50 million for Brazilian forward Neymar. It was always a matter of when Neymar made the move to Europe, a lot of people thought he was going to stay with Santos until after the World Cup in Brazil in 2014 but he made the switch a season early to Spain. After 225 appearances and 136 goals for Santos along with 38 caps and 23 goals for Brazil much is expected of the young Brazilian superstar and it will be interesting to see how he links up in the Barcelona attack. This move has all the makings to do nothing but succeed but the pressure to justify the price tag and playing for one of the worlds biggest clubs starts now for Neymar. Personally I think he will be a hit at Barca if he and Messi can be played in the right positions together and how Neymar adapts to moving to Spain and the different style of football. 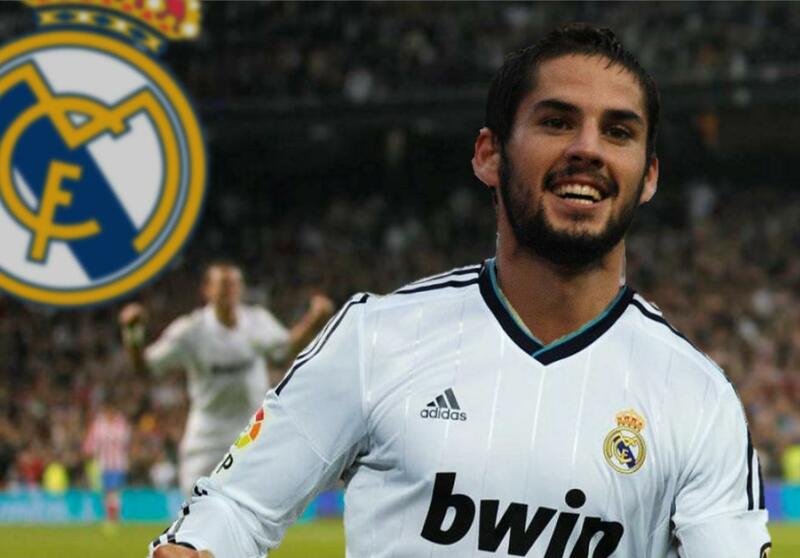 It looked like Isco was going to follow his former Malaga boss Manuel Pellegrini to Manchester City but Isco instead decided to remain in Spain and sign for Real Madrid on a 5 year deal for a fee around £23 million. At only 21, Isco was a star in the recent U’21 Championships scoring 3 goals in 5 games as they won the tournament and has also been very consistent for Malaga and is an excellent first signing for new boss Carlo Ancelotti. A player that will only get better, he has La Liga experience and also tasted the Champions League last season in Malaga’s very good run in the competition. 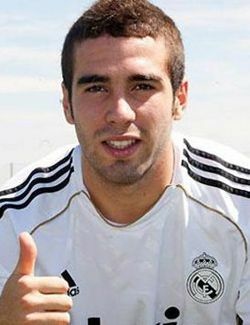 Solid signing and Madrid will be hoping the player stays in spain for some time to come. I always admire Bilbao for their only signing Basque players policy yet maintaining their status as a big club in Spain. 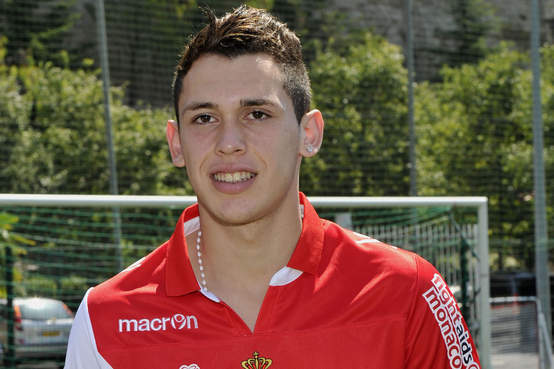 They have signed a gem here as well in Benat who has excelled in his time at Betis. The player did actually come through the youth ranks at Bilbao but only managed one game. He has developed into a fine player though and has won 4 Spain caps in the past year along and with guys like Xavi, Iniesta, Fabregas vying for a midfield spot that shows his qualities alone. Those said qualities made Bilbao splash out 8 million Euros to bring the player home to San Mames. Quality player and will fit back in nicely at Bilbao. Keeping with the returning to a former club trend here is another one for you. Carvajal for me was easily one of the best Right Backs in the Bundesliga and excelled for Leverkusen last season. Real Madrid were very clever in putting the buy back clause in his contract and were able to get him back for just 6.5 million Euros. A very quick player with lots of stamina and overall consistency in defence and going forward Carvajal could end up one of the best Right Backs in world football for me. I hope Real play this lad as he is absolute quality. He is only 21 and has represented Spain from U’18 to U’21 level and if he gets regular game time at Real I’m sure its only a matter of time before Vicente del Bosque picks up the phone. Quality resigning from Madrid and I hope Ancelotti plays him regularly as his potential is huge. After a successful loan from Liverpool to Olympiakos, Seb Leto then spent 4 very successful years at Olympiakos’ rivals Panathinaikos. Now an established consistent forward at 26, Leto has made the move to Italy and this could be an excellent move for the player. I admire this side and some may remember my underrated footballers blog when I mentioned Catania star midfielder Francesco Lodi. This is a side on the up and an 8th place finish in Serie A was very impressive indeed. I’m looking forward to seeing Leto, Lodi, Gomez & Barrientos all link up together as that is a very talented attack force. 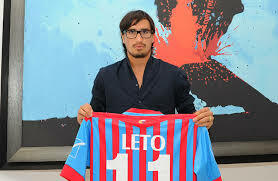 This is the first signing made by new Napoli boss Rafael Benitez and what a very good one it was. Mertens has got better every season, he had two very good years at FC Utrecht in Holland before making the big move to PSV where his form has been immense in his two years at the club. At 26 he now makes the move to Serie A in the best form he has ever been in and I can see him making the grade in Italy I really can. He will also be looking to add to his 19 Belgium caps and 2 goals for his country as well. So well done Napoli I’d say thats 9.5 Million Euros well spent. 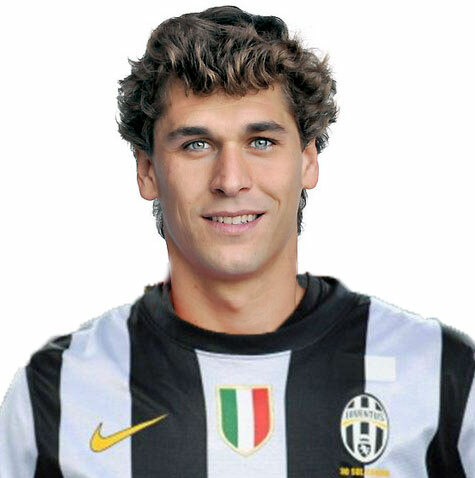 This transfer was announced back in January but the move has finally went through and Llorente is now a Juventus player. One of the best target men in the game today and a Bilbao legend, Llorente has been in fine form for the past few seasons. His 333 appearances for Bilbao returned 118 goals and he also has a very impressive international return with 21 Caps and 7 goals. The 6’5 striker will be a handful for the very difficult Serie A defences for me and the fact Juve got him on a free gives them value straight away. Llorente didn’t have the best of seasons there only scoring 6 goals but a fallout with the manager and back up new main man Aritz Aduriz were the combining factors there. Good signing for Juve and will be interesting to see how he links up with his new strike partner who we will now discuss. I think this is a brilliant move and perfect for both Juve and Manchester City. City get £12 million for a player that has wanted away from the club for 2/3 seasons and whose attitude was heavily questioned at times not to mention freeing up big wages to possibly move for Edinson Cavani and Juventus get a talented player who at 28 this could be his last ‘big’ move as he more than likely returns to Boca Juniors to end his career. Tevez knows Juventus are one of the very best on the planet and he will be surround by stars…some bigger than him so his workrate and desire will have to be very high to fit in with such a talented group of players. In his career so far Tevez has 453 appearances and scored 198 times which is very impressive considering he isn’t an out and out forward. Tevez when he wants to be can be a very hard working team player who will chase down every ball and thats what he will need to do in Italy. All in all this is a good transfer and I think Tevez will do very well in Italy. We knew about this deal a few months back but what a signing for Bayern. Mario Goetze is a fine player who has the world at his feet, at 21 he has already played 22 times for a very talented German national team and clocked up 116 appearances for Dortmund (83 in the Bundesliga and 23 European). Goetze is a very quick player who is technically gifted, he will assist more than he scores but he knows how to get goals also so you have a perfect combination there. It will be interesting to see where he will be played in Bayern’s 4-2-3-1 formation but the assumption is he will be in the centre of the ‘3’ part of that formation. Goetze has become the most expensive German player of all time with this 37 Million Euro transfer but I have no doubt he will repay that fee back with a long successful career at Bayern. One of the most talented yet underrated players in Europe at the moment for me. This move is exactly what Son needs and is the replacement for Andre Schurrle. 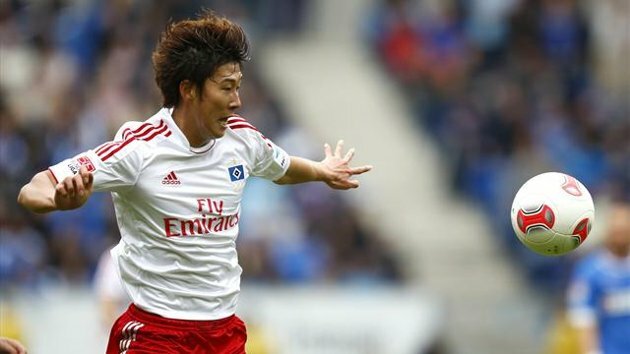 For just 10 Million Euros as well Leverkusen have got a great deal here and I can’t wait to see Son link up with Kessling in the Leverkusen attack. His three years at Hamburg saw Sonscore 20 times from 78 games. 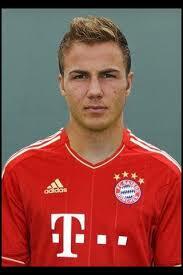 He has mostly played on the wing of a forward three and will more than likely do the same at Leverkusen. Being left footed he will be better on the right hand side for me but Leverkusen could easily play him on the left as well. This will be one of the signings of the season in Germany for me as Son will be at a bigger club who will be chasing the top two in the league and of course have a European campaign to look forward to also. I like what Stuttgart are doing so far in the transfer window they have made several excellent signings and Abdellaoue is another one. Since his move from Valerenga in Norway he spent 3 very successful seasons at Hannover 96 scoring 35 goals from 96 games. 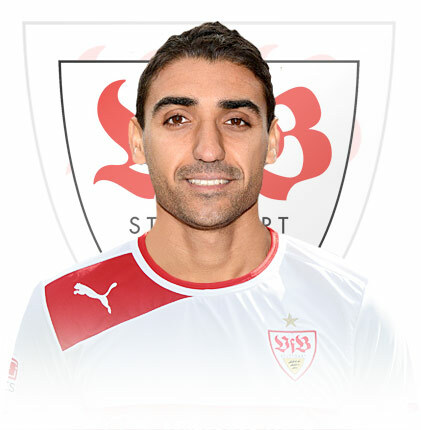 At 27, I’m sure this 4 year contract will be full of goals and good performances as Abdellaoue gets to play on a slightly bigger stage at Stuttgart. With players like Cacau, Ibisevic & Harnik up front also it looks like Stuttgart now have the quality and depth up front to make a better Bundesliga challenge and improve on last seasons 12th place finish. 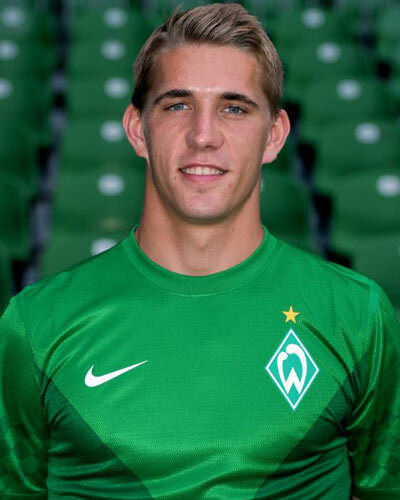 Last season’s loan spell of Petersen from Bayern was one of the few bright spots in a dreadful campaign for Bremen. It is no surprise they spent a reported 6 Million Euros to make the deal permanent. At only 24, Petersen can be a star in this side for years to come and who knows could end up winning a move back to Bayern if he plays well. 27 games and 11 goals was his return last season and I predict he will better that next season. Big changes are needed at Bremen but this is certainly a good start. As ever at Benfica they lose a couple of stars and replace them with potential stars and thats what they have done here with Sulejmani who has been a quality player for Ajax in his 5 years at the club. Still only 24, the player is very gifted and his technique is of the highest quality which can be utilised on the wing or through the middle. He also has 13 caps and 1 goal for Serbia but I’m sure those stats will be higher in the seasons to come. 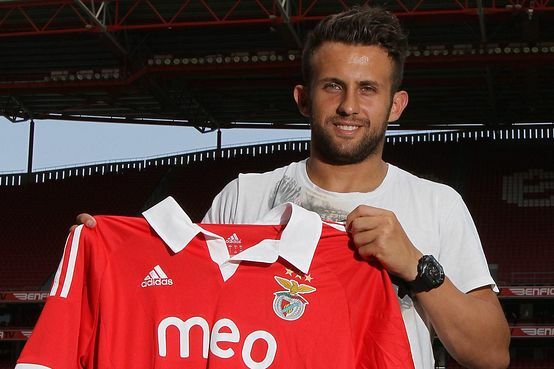 Good move by Benfica and this could be the platform that gets Sulejmani to an even bigger club than the great Benfica. Mr Reliable at left back for Leverkusen where he spent 5 excellent seasons, but Leverkusen look to be going with a younger left back for the season ahead and Kadlec seeking a new challenge decided on a big money move to Turkish side Fenerbache on a 3 year deal which cost them 4.5 million Euros. Kadlec is just a solid full back who can defend very well and bomb forward also. 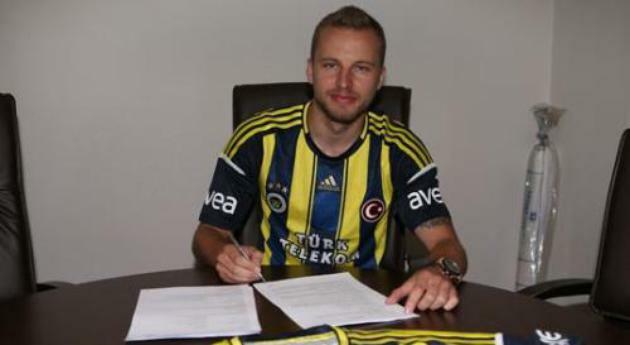 With 45 caps for the Czech Republic, Fenerbache will be getting a seasoned pro who still has a good 5/6 years left in the tank. What a way to start their return to Ligue 1 with the signing of 3 of the most consistent and quality players in Europe. First off you have Falcao who has done nothing but score goals every season he has played the game with River Plate, Porto and previously Atletico Madrid. The Columbian has 282 games and 187 goals along with 43 Caps and 16 goals at international level. The man is a goal machine and it will be between him and Zlatan Ibrahimovic for the top goalscorers prize in France this season. 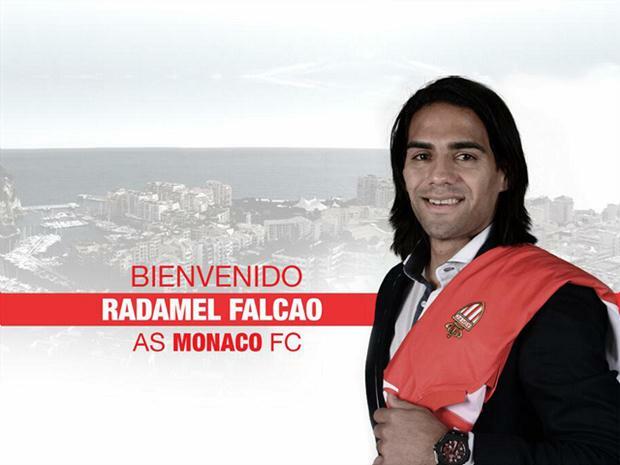 Is he moving to Monaco for the money? Challenge? Or so that he can move to Real Madrid as Athletico refused to sell him to them. It could be one or a combination of all three of those things but don’t forget Monaco have a great history in the game despite their recent financial and relegation troubles. Falcao can score any type of goal, he is good technically on the ground and in the air plus he can do the hardest thing in the game A LOT which is score goals due to his incredible movement. The fee has been reported as between 45 to 60 million Euros so pick a number and take it as that! A very steady and quality centre midfielder right here Moutinho nearly ended up at Tottenham last season but they couldn’t get the deal pushed through in time. At 26 and after 8 excellent years in Portugal with Sporting Lisbon and Porto its about time we saw this man play somewhere else. 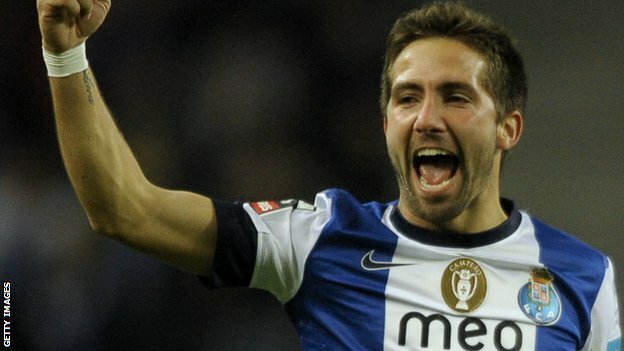 A seasoned pro who has great experience at the top level in Europe and who has won 59 caps for Portugal, Monaco are getting a superb midfielder in Joao Moutinho who didn’t come cheap at 25 million Euros but who will repay that fee I’m sure in the next few seasons. As part of the Moutinho deal was winger James Rodriguez who cost 45 million Euros but Monaco have an amazing talent who is only 21 and will get much much better in this team. He will end up at Barcelona, Real Madrid or Manchester United after this move thats how good I think he is. With a left foot that could open a tin of peas such is its quality, Rodriguez will more than likely play on the right of a forward three, with Falcao through the middle and the guy on the left not signed yet I suspect! His 3 seasons in Porto gave the club 104 games and 31 goals with plenty of assists. He has already won 12 Columbia caps and scored 2 goals but that figure will go up on both columns there. All in all a brilliant football player who for me is Monaco’s best signing and I highly rate the other two I mentioned before! So there you have it a load of top transfers from the month of June and the summer window so far hope you enjoyed this blog and its not long now football fans until pre season kicks in and we get to see not only our own new players in action but the ones I mentioned in this piece also.